In the course of leading any organization there will inevitably be a time when a leadership position will need to be filled. It may be a result of previous poor job performance, the person may move on to another position, or for whatever the reason may be â€“ perhaps the position was too quickly filled with a person that seemed promising but seems to presently be struggling. What is the expectation for this leadership position? A job description will need to be put together or reviewed â€“ outlining specifics for the position (i.e. hours needs, responsibilities, deadlines, qualifications, etc. Having these expectations will take away (somewhat) personality conflicts and will focus attention on concrete job expectations. If a person has to be â€œfiredâ€ from a position, it should be based on these written specific expectations and not ambiguous personality conflicts. Make the expectations clear. For example is a teacher shows up to class late and not prepared to teach a lesson â€“ then you could reference that teachers are expected to arrive early and to be prepared to teach a specific lesson with quality and learning objectives. Then there should be a way of evaluating if the said teacher is teaching a lesson in such a way that the students are learning. Step 3: Keep Lines of Communication Open. If there are â€œissuesâ€ that need to be addressed, then there should be a way of sharing and discussing problem areas or that things are going great. Even when things get sticky, keep the lines of communication open and keep talking. Has the leader been properly trained? 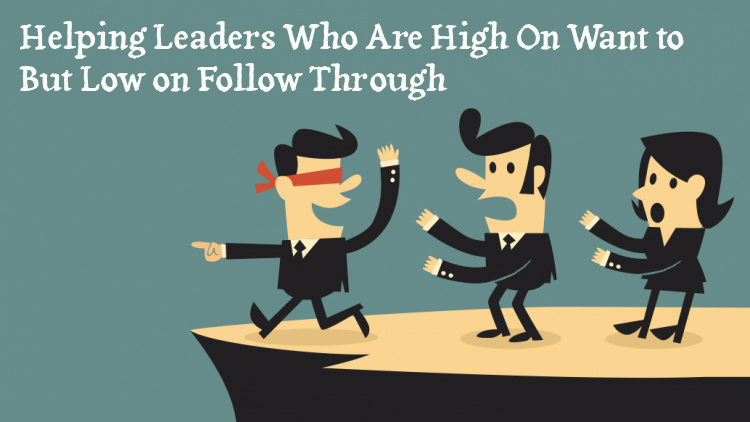 The leader may have found themselves in a position where they do not have all the information, resources, training, etc. that they need to do the job properly â€“ and they may not even realize it yet. In childrenâ€™s ministry, if your leader is grasping for resources (songs, games, crafts, etc. )Â Â then they may simply be unaware of the vast sea of available games and songs. They may just need to be pointed to a training website, some good games books, etc. This is why curriculum is so key to having a vibrant ministry. If the leader is given adequate training, resources, and information â€“ you may see a radical turn-around. One indispensable training/resource for the struggling leader is to connect them with a successful/mature mentor. If this is a good relationship then they will be able to work through issues as they occur and to head off problems before they happen. To correct a struggling leader without these four steps really is not fair to them. Perhaps they are unaware of what the organization expects or they may not have an avenue to express their plans. 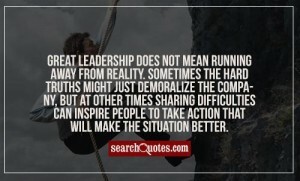 A leader should not be surprised when someone comes to talk with them about how things are going (negatively); if they are then the organization has failed, not the struggling leader. They have been given a clear job description â€“ clear responsibilities. They have been clear on what is expected on a regular basis â€“ clear expectations. Communication has been open and both the leader and the organization are â€œon the same pageâ€ â€“ clear communication. They have everything they need to do their job. But in the course of time if all of these steps have been put in place and the leader still is struggling then they may need to step down from the position. So what do you do? Meet with the leader and outline the next steps in the process. If things are bad then you are trying to mediate a positive outcome. Seek to deal with specific issues (lack of preparedness, lateness, bad attitude, missed deadlines, etc.). Give them an opportunity to make adjustments. a. As best as you can donâ€™t make it personal. Give dates, times, specific details of the problem behavior. b. Allow the person to respond and feel as though their voice is being heard. c. Keep the conversation on track and focused on the actual issue. In these tense moments it will be easy to shift blame, point fingers, and bring up distant history. d. Leave the meeting with action plans and next steps. No one should leave the room wondering what will happen next. e. Stop the meeting after one hour, definitely donâ€™t go past one-and-one-half-hour. Find a stopping point and schedule a follow-up meeting. f. Donâ€™t allow the conversation to circle back over the same topics or points again and again. Having these discussions is never easy and no one wants to correct a struggling leader. But this is an opportunity for you to help them to become a better leader, improve your organization, or (worst case) open up a position that a better leader can fill. They canâ€™t serve in that position if someone is currently holding the position.